Wat is dit voor site? Wij zoeken de goedkoopste boeken op internet. Religious Composition of Populationvonden we het goedkoopst op Bol.com voor €61.50. We hebben gezocht in nieuwe en tweedehands boeken. Rechtsonderaan de pagina kan je het boek direct bestellen	via Bol	.com. Religion is a belief in supernatural being. Religion has existed throughout the history of human society. It is a part of culture and an important aspect of human social life. For more than a millennium now, India has been host to some of the greatest, most vigorous and expansive religion of the world. This circumstance has endowed India with a rich diversity; but it has also given rise to some of the most acute strategic political administrative problems that the Indian nation has to face in the past and continue to face till today. 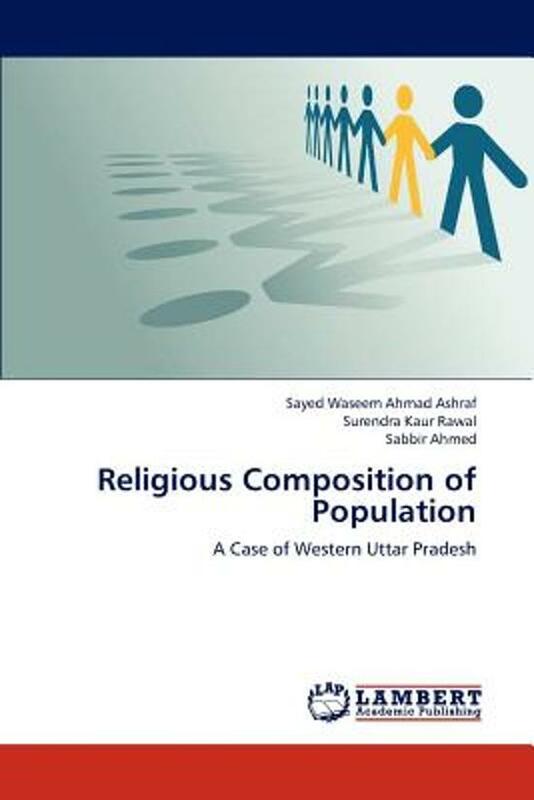 The book concerned mainly with the Religious Composition of Population in western Uttar Pradesh (India).